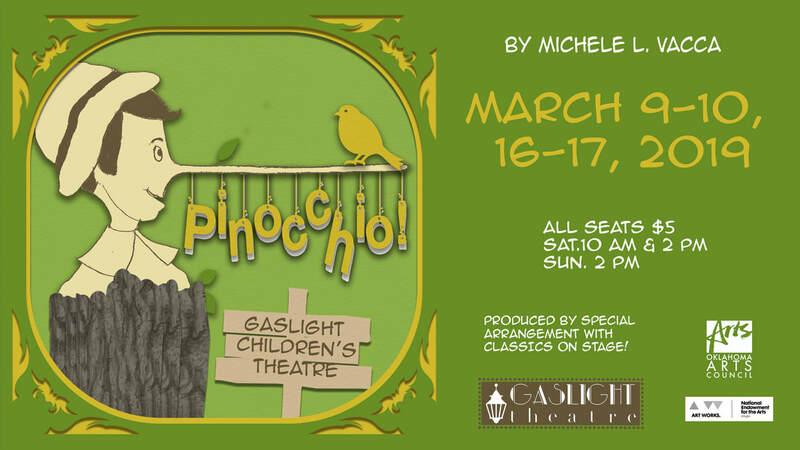 With kid-friendly stories, nap time-friendly start times, and wallet-friendly prices, Gaslight Children's Theatre is the perfect way to introduce the whole family to the magic of theatre! Highly acclaimed, captivating and exceptionally playable adaptation of the Carlo Collodi novel. Carved by a woodcarver named Geppetto, Pinocchio was created as a wooden puppet but dreamed of becoming a real boy.